The Wafer-Cone flow meter uses the same revolutionary principles as the V-Cone. Its self-conditioning means little or no upstream or downstream piping runs are required. The Wafer-Cone features a flangeless design. 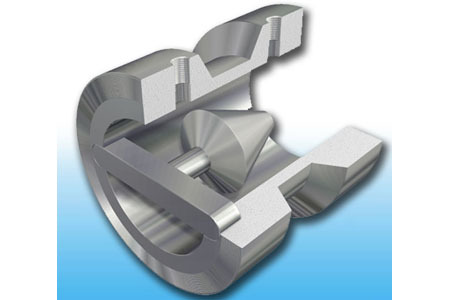 The element is easily replaced to accommodate changing flow conditions. Recalibration is not required. There are no moving parts to maintain. The unit combines exceptional flexibility with high performance. The Wafer-Cone is the perfect low-cost solution to tough flow measurement problems in water & wastewater, chemical, food & beverage, plastics, pharmaceuticals, district HVAC, textile, power and oil / gas production.